Online applications are invited from eligible minority students for Post Matric Scholarships Scheme for the academic year 2018-19. The objective of the scheme is to award scholarships to meritorious students belonging to economically weaker sections of minority community so as to provide them better opportunities for higher education, increase their rate of attainment in higher education and enhance their employability. ** The annual income of whose parents/guardian from all sources does not exceed Rs.2.00 lakh. 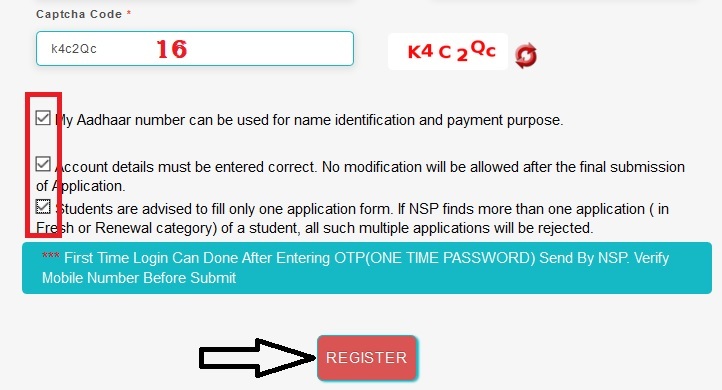 The scheme is implemented through National Scholarship Portal (NSP). Just follow the below steps to apply for the Post Matric Scholarships Scheme for Minorities 2018-19. Step 2 : Then Select Central Schemes tab and Click on Ministry of Minority Affairs link in the drop down list. Step 3 : After that Click Apply link in the Post Matric Scholarships Scheme for Minorities. b) Institution Verification Form. (Mandatory). c) Self declaration of Income Certificate by the student. (Mandatory). d) Self declaration of community by the student. (Mandatory). e) In case of Fresh – Self Attested Certificate of ‘Previous Academic Mark sheet’ as filled in Form. (Mandatory). f) In case of Renewal – Self-Attested Certificate of Previous Year Marksheet as filled in the Form. (Mandatory). g) Fee Receipt of current course year. (Mandatory). h) Proof of Bank Account in the name of student. (Mandatory). ** Students from BPL families, having the lowest income shall be given preference in the ascending order. ** The renewal applications would be fully exhausted before the new applications are considered. Institutes have to finish their verification before the closure of the application dates! Otherwise applications marked as defective cannot be submitted by the students! So Institutes are requested to complete their pending verification before last date of application submission. 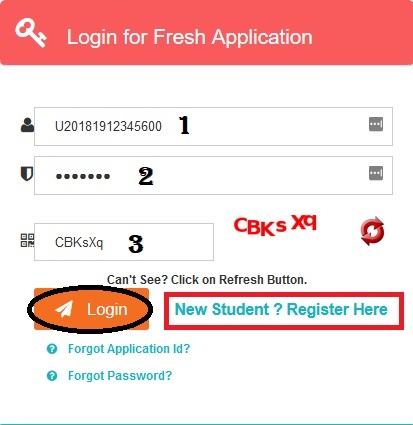 Verification process needs to be completed before the completion of the student application dates so that students can submit their defective applications in time! No Extension of dates is being done, so all are requested to complete the verification process at the earliest. ** Scholarships will not be given to more than two students in a family. ** Scholarship will not be awarded for more than the normal period of time taken to obtain Certificate/Degree/M. Phil Degree/Doctorate Degree. ** The students should be regular in attendance for which the yardstick will be decided by the competent authority of the school/college/university. ** Course fee/tuition fee and maintenance allowance will be credited directly to the students’ bank account. ** If a student is found to have obtained a scholarship by false statement/certificates, his/her scholarship will be cancelled forthwith and the amount of the scholarship paid shall be recovered, at the discretion of the concerned State Government/Union Territory Administration. I applied for SYBSC Jain Student. How much amount will I get if I got selected? It says, there is no scheme for your information. I unfortunately withdrawn my NSP application, how to recall it. 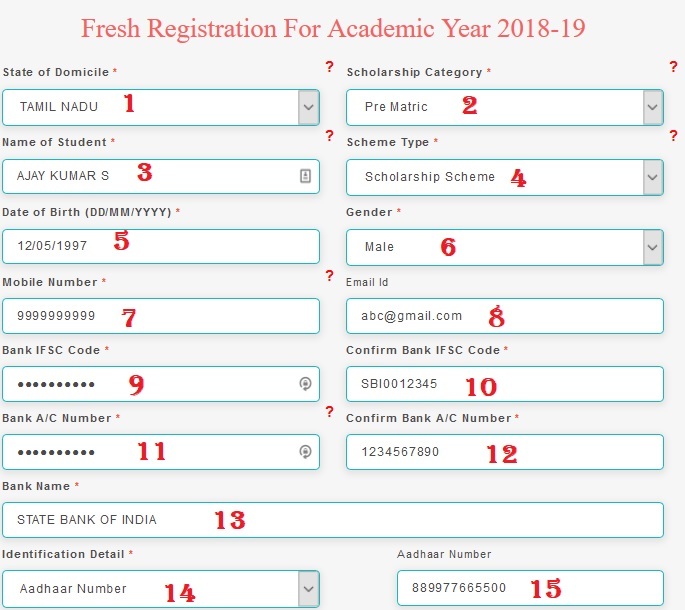 I have forgotten my registration mobile number, how can I know it in National Scholarship Portal? I WANT TO KNOW THAT, HOW TO TAKE SUMMARY FOR 2016-17 SCHOLARSHIP DETAILS? This is written when handing over, ‘For your submitted information there is no scheme available’. I want to know that, is there any way to cancel the application? Please let me know, Is Institution Verification Form Mandatory.